Concerts – Concerts are a great was to meet people. Everyone is there to have a good time so don’t be afraid to just go up to someone and start up a conversation. You never know you could meet a bunch of new friends!!! 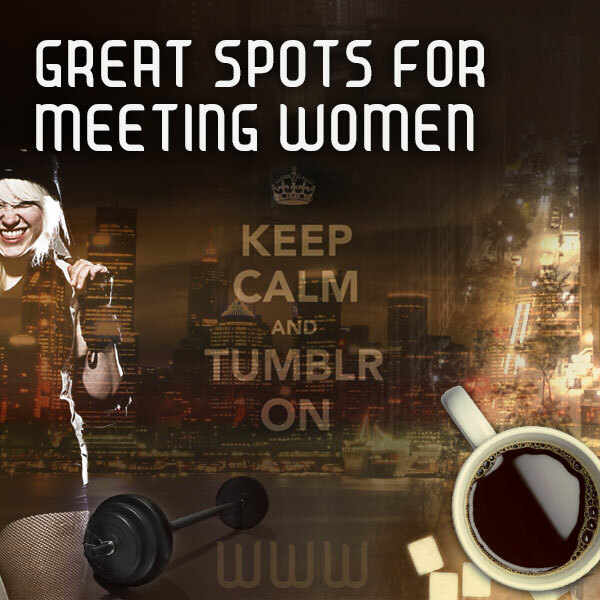 Lesbian Bars / Clubs – The bar scene isn’t for everyone, but it might just be a great spot to meet your next partner. It’s a place where people go to have fun and let off some steam from their week. Friends from high school – Even if your high school friends live out of town, see if they have gay friends in your hometown. Pride – Need I say more? Your local Pride event will be a great way to meet a bunch of new LGBT people. I suggest volunteering during the event to get yourself out there. It forces you to talk and meet with new people. Roller Derby – Roller derby is just a gay friendly sport and is very accepting of its lesbian, gay, bisexual and transgender (LGBT) players. When you think of roller derby you think of a bunch of butch women hashing it out. Just remember there are all types of lesbians that hang out here. Your next girlfriend could just be sitting in the stands. LGBT Centers – If you do have a gay or lesbian center in your town it can be an excellent place to meet people. Even if you don’t play sports it is a great opportunity to start up a conversation and meet someone new. Local Queer Papers – Find out where the hot cafe is, theater, sporting event or concert. The local queer papers will host ads for gay friendly events and businesses. Have a party – Whether you have a game night, dinner party or a quaint backyard bbq, ask your friends to bring some of their friends along. Make this a monthly or weekly event. You will end up meeting more and more lesbians and have a whole new group of friends. This entry was posted in Dating & Relationships, Lesbian Dating, Online Lesbian Dating and tagged andro, androgynous, androgyny, bars, bi, bi-curious, Bisexual, casual dating, chat, coffee, dance the night away, dating, free, gay clubs, gyke, gym, Lesbian, LGBT centers, nomakeup, Online Dating, party, pride, profile, rollerderby, same love by Janey Grace. Bookmark the permalink.